Two of my favorite flavors are raspberry and also lemon. I tasted this Lemon Tart recently and was at once awed by it's wonderfully tart lemon flavor and silky texture. Although it uses cream cheese, it is not as heavy or intensely cheesey as cheesecake. I guess that is why it is called a tart! At any rate, I immediately asked for the recipe and would like to share it with you. Meanwhile, beat the cheese until creamy and beat in the granulated sugar, eggs, lemon peel and juice. Pour into baked tart shell and place in freezer for 5 minutes. Bake at 350 degrees for 20 minutes, or until set. Let cool and chill. Serve with crushed and strained frozen raspberries sweetened and thickened to make a sauce. Drizzle on top and add a dollop of whip cream and a mint leave for garnish. Yum! Check out all the other delicious foods at Designs by Gollum here. Do you ever need just a little something to give as a gift for a friend to tell them you are thinking about them, to wish them a speedy recovery or a happy day? Here's an idea I recently saw on a local TV show. Tie onto the handle a some assorted ribbons--these were mostly scraps I'd saved from presents received. Put the cupcake into the cup. Add a coordinated paper filler to the saucer. I didn't have any pink filler so I just used ribbons.Place the cup on top of the filler. Wrap it all in cellophane and give with a smile. This is just one suggestion for filling the cup. What other ideas can you think of to use this idea? I am linking up to Tutorial Tuesday with today's post. Visit here for more ideas and how-to. The sun is up. Birds are singing and everything is refreshed from the brief thunderstorm and consequent rain last night. It began with a hugh thunder clap that made me gasp and say out loud "Now what?" I was watching a movie and it took the sound right out. I am thinking...It is going to be a beautiful day! The beauty that surrounds me. I love all the green of the mountains, trees and my yard. We have had so much rain that my new landscaping plants have grown emmensely this year. The ground cover has taken hold and filled in especially in the front where it is on the north side. I love to see the new flowers come up. I planted holly hocks last year and they are up and will bloom this year. The sound of my gurgling fountain is a lovely sound too. Some leftovers from yesterday's dinner--pork loin with balsamic glaze, and lemon tart. My workout clothes--black crop pants and green T-shirt. that says Sun on one side and Shine on the other. I am really considering getting me a shirt like the one I saw a man wearing at the gym. It said Heavy on one side and Weight on the other. Wouldn't that be somethng! I can't wait to get showered and wear my capris for the first time this season. It is so nice to have weather condusive to them. kind of a mess with the clothes and things I will be taking on my trip all laid out on the floor so I won't forget to pack them next week. to Costco today to get some books . If they don't have the book I am looking for, then I'll be stopping by the book store. Also I have to take back my Italian tapes to the library. I am reading... The Wednesday Letters by Jason F. Wright. I friend highly recommends this book and gave a copy to me so it is next on my list. That I will be able to collect my thoughts and get a good list made of things I need to take on my trip. I seem to be easily distracted and lose my concentration. A chorus of birds outside my window. I know they are as happy as I to have the nice weather and sunshine. They especially love our new rainfall. I want to put up some plaques I made to label the rooms down a hallway today. Is eating which has some negative results. I will try to do better this week. I will be taking care of my grandchildren beginning Saturday for a few days so that will be fun. I know that one thing on their list is going to the pool! I recently attended a cooking class where a darling Brazilian cook, Tania, showed how she makes Flan. With her casual, carefree spirit she made it look so easy a child could make it. It is very simple with only 4 ingredients. It turned out beautifully and delicious! Blend together then pour on top of the hardened caramel sauce. Put bundt pan in a water bath--(fill a rimmed cookie sheet with water then place bundt pan on top. Bake at 375 degrees for approx 45 mins or until a kitchen knife comes out clean. 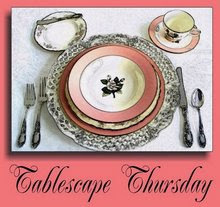 I am linking up to Designs by Gollum's Foodie Fridays. Check out other delicious recipes here. Here's a recap of a fun Memorial Day celebration in Idaho. You just never know what will happen in the country. We started off by celebrating this cute girl's birthday at home. She started to put her own candles on her cake. She ended up with lots of help with those candles! Then we took that party to a restaurant where the fun continued. Do you want some fun? Add five little, soft bunnies and 7 cousins to make a happy time. He does not want to give any of these adorable babies away! The next door neighbors call to share this fun human rolling ball. All children run for the adventure they see in store for them. They think this is a great way to work off their newly eaten BBQ dinner. Next it is time to bring out the craft supplies--old T-shirts to cut out circles. lots of cute hair bands for everyone. It was a great time for lots of family bonding. I hope your weekend was adventure-filled too! 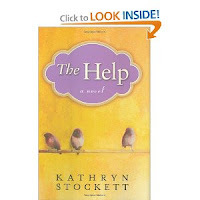 If you have read the very popular book The Help by Katheryn Stockett you are familiar with Minny's famous Caramel Cake. Minny would make it for her friends that needed a little TLC or just to be neighborly. Our book club recently reviewed this wonderful book and then for dessert we had this Caramel Cake that I am just sure is just like Mini's:). How can it not be the most delicious thing you have eaten when it consists of 4 candy bars?! I hope you will enjoy it too. Preheat oven to 375 degrees F (190 degrees C). Grease and flour two 8 inch round cake pans. Sift cake flour and combine with baking powder, and salt. Set mixture aside. With and electric mixer, beat shortening, sugar, and vanilla until fluffy. Add flour mixture and milk alternately to the shortening mixture. Beat egg whites until stiff peaks form. Fold egg whites into flour mixture then fold in chopped candy bars. Pour batter into prepared pans. Bake at 375 degrees F (190 degrees C) for 20 minutes. Let cakes cool in pans for 10 minutes then remove from pans. Drizzle with melted caramel if desired. I am linking up to Foodie Friday for this post. Please check out other delicious recipes and ideas at Designs by Gollum here. 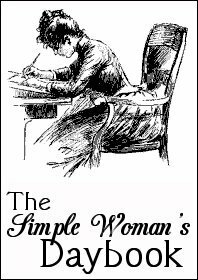 I realize in this creative blogging world of make-everything-yourself-for-only-pennies that one is somehow substandard if a thought of purchasing, not making it yourself, enters one's mind. And I do know the satisfaction that only comes with completing a project I have made myself, after all, I have touted the merits of whole wheat bread made from fresh ground hard red wheat, and used to spend all of August making new wardrobes for each of my children before they entered school etc, etc. I am the one who can save a dime because I will tell myself how "I can make that" at a boutique when I see something cute. Now, whether or not I actually end up making a copy of that same thing is another question. But, let it be said, I have spent many years creating everything you can image. So, I know I have the skills to master slipcovering my two red sofas. And now that all the world knows that I am capable of doing just that, I want to show you my new white slipcovers for those sofas that I willingly paid someone else to make for me! I just love them! I thought about starting to make one sofa. And when I did, these feelings of frustration began to surface! They did not go away, and only got worse. I just knew it would be a project I would loath! And the thought of having to make two of them almost put me over the edge. I have wanted these couches covered for 7 years and one day recently I came across this blog: http://customslipcoversbyshelley.blogspot.com/ with her name and phone number. The phone number had my area code! Was this a sign? I thought so. Then I called Shelley and my house was close enough to hers for her to take my job. Horray!! It was my lucky day. She told me how much fabric I needed ,and where to get it, and her price. I couldn't believe it, I found the fabric for $3.99/yd. I decided to let her make my two sofas, plus a chair and an ottoman too. I put 50 yards of this wonderful white denim in my washer to preshrink it (8 yards at a time). A week after I found her blog Shelley was at my house cutting and pinning it to my furniture. I watched and was amazed with the skill and speed she had. I also thought how different my approach would have been to the project and the frustration that would have involved. In two hours she left and two weeks later brought back my beautifully tailor made white slipcovers. Nothing has made me so happy for a long time. I guess I have put too much emphasis on "material" things, but everytime I walk into or past my family room I feel like summer has come to my home and I smile. Of course I did not realize that I would have to change my rug, pillows and accessories to match my new look. But, it was worth it in every sense. They are just wonderful. Now, I have time to craft something less complicated. Right now I am breathing in the aroma of fresh baked bread! Thanks Shelley!! I am linking to Susan's Between Naps on the Porch for her Metamorphosis Monday makeovers. Check out what other bloggers have been doing too.